Recently refurbished with all the elegance and charm of the original architecture, and furnished in a traditional style. 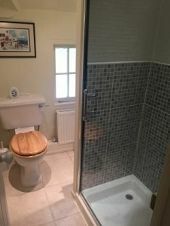 Offered is 1 double bedroom, shower room and private sitting room which has a digital TV and an open fire to help you relax on those cold winter nights. We are a non smoking premises. All guests have access to ample off road parking in the courtyard next to the cottage which is close to public transport and the city centres of Aylesbury, Thame & Oxford. Good rail links to London from Haddenham & Thame Parkway station. 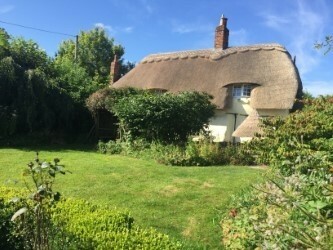 Badgers Cottage is ideal for those seeking a break in this beautiful part of the country, or for people staying away on business. You’ll love the location and surrounding countryside plus the cosiness of the accommodation. The cottage is good for solo adventurers and professional people wanting a relaxing time.